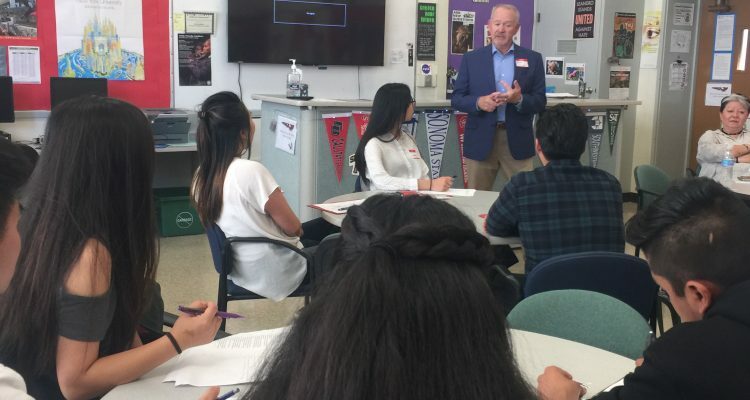 On October 19, 2018, I had the honor of being part of a group of 15 business professionals sharing with high school seniors our work life experiences including what the job landscape looks like today, the importance of continuing educational opportunities whether technical or academic, importance of networking, what future careers and industry trends look like, what to expect within the workplace atmosphere and based on each presenter’s own personal experience how our own work-life cycle emerged and grew. At the end of each session a Q&A exchange occurred with some great and challenging questions. I recommend for fellow business professionals interested in giving back to their local community to contact their local schools and get involved. I hope the students walked away with a better feeling about the future, I sure did.